Ok, I understand that Iron Golems spawn in a 16x16x6 area (6 being the height) from the center of the village. 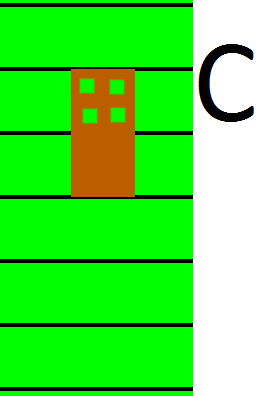 Does this mean the two blocks of the door, two blocks below the door and two blocks above the door? OR! does it mean 6 blocks from the bottom of the door? A source would also be greatly appreciated. The 16x16x6 area is centered around the center of the village. The center of the village is geometric mean of coordinates of all doors that are part of the village. The door coordinates are usually carried by the bottom part of the door. 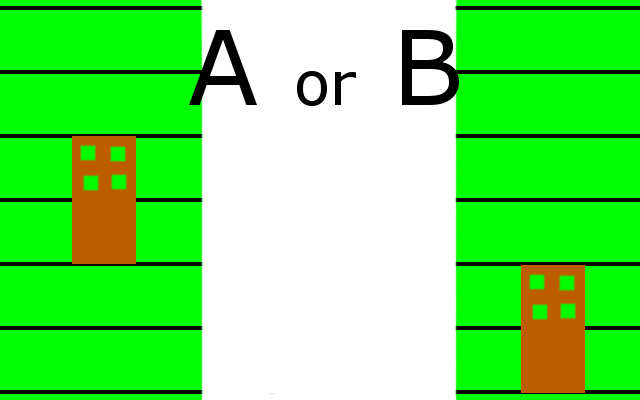 If all doors are at the same Y coordinate, the area would be centered vertically around the bottom edge of the doors (so neither A nor B in the picture is correct). Will moving iron golems allow more to spawn? Why won't iron golems spawn? What is the exact spawning area of an iron golem within a village? Did Minecraft 1.13 change the way iron golems spawn?